Brimming with modern style, TownePlace Suites Alexandria provides an ideal home base for extended stays in the heart of Louisiana. Our all-suite hotel is the newest in the city and allows you to balance work and life as you like, with the comfort, flexibility and affordability you require. Our hotel suites feature fully-equipped kitchens, and complimentary wi-fi. Additional perks for your extended stay include a fitness center and an outdoor pool, as well as complimentary parking. Start your morning with a tasty complimentary breakfast at the hotel, before heading off to work or to explore the Alexandria area. If you're planning a meeting, we offer a great group block rates, as well as a convenient location near terrific local area dining and entertainment and the only mall in Alexandria are just moments away. And, of course, our dedicated staff is available 24 hours a day for your round the clock personal and business needs. 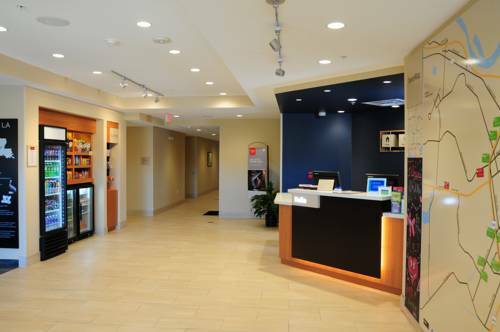 We look forward to your stay with us at TownePlace Suites Alexandria!